The first step is the hardest! 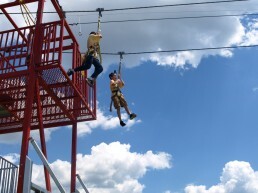 Just step off of the 30 foot tall Zip Tower and soar in the air 200 feet before landing back on solid ground. Our Zip Line experience is a rush for anyone looking for a some thrill with their visit at Dutch Springs. 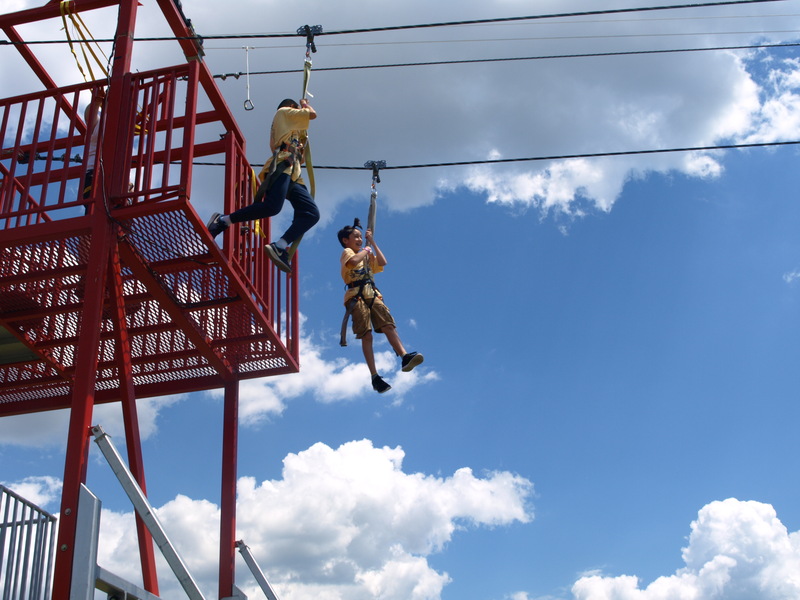 All Zip Line participants receive a thorough briefing before zipping and wear safety harnesses clipped to safety cables throughout their time on the zip line. Our staff inspect is available at all times to answer questions or assist whenever desired. 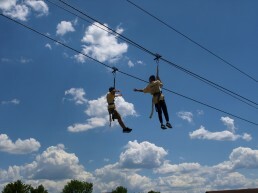 Included with Aqua Park admission! Height Requirement: Minimum 42" Maximum 6'3"